Most people have heard of root canals, but may not understand what they are for or what they do. Typically, when you have any tooth decay, your dentist recommends a filling, which will fill in the decayed tooth, deaden the nerves and allow you to eat and drink as normal again. However, sometimes oral health problems are more severe and require such treatment. Most people don’t realize they have tooth decay until there is pain because there are rarely any symptoms of decay until it reaches the interior nerve of the tooth. Once this happens, you’ll likely experience chronic pain in that tooth, which may move outward to other teeth, making it difficult to pinpoint the original start of the pain. Because tooth enamel doesn’t have nerve endings, most people are unaware they have problems until they go for a routine checkup. This type of problem can easily be fixed with a filling. However, once the nerves are sending pain signals, they are usually damaged, and root canals may be necessary. In most cases, there is little damage to the tooth, and it can still regularly function, even with damage or decay. A simple filling is used, whether composite or amalgam, and you feel nothing and can continue doing regular things. However, once the decay occurs inside the tooth, the pulp, nerves and blood vessels can’t heal themselves. This means they continue deteriorating until a dentist stops the problem and a filling only offers topical relief. The root canal is the only option that addresses pulp problems because it removes the decayed areas inside the tooth and is filled with dental material. 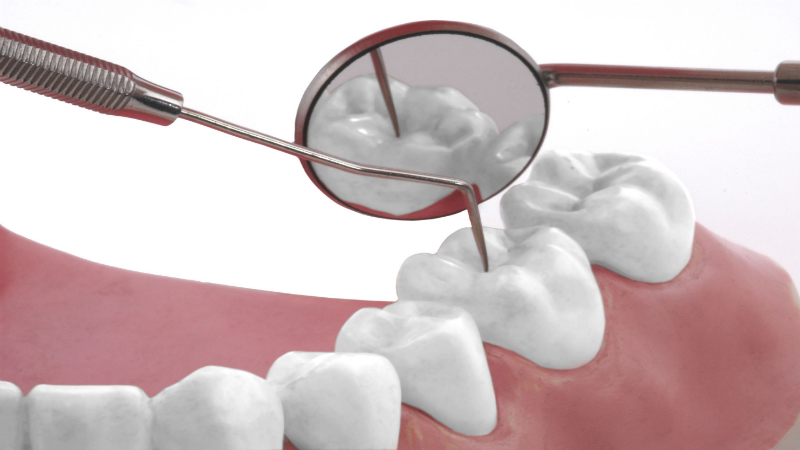 When the blood vessels and nerves inside the tooth start to decay, bacteria enters inside the tooth canal. This bacteria can produce pus, which accumulates in the root of the tooth, placing immense pressure on the jawbone and tooth. Pus buildup can cause a lot of damage, not just to the tooth but the rest of the mouth. The procedure alleviates that pressure by removing the bacteria and pus. Even with all the pain and noticeable damaged areas, some people ignore the problem. Doing so may require that the tooth be extracted from the mouth. This will require you to have a bridge, partial denture or a dental implant. Root canals are an excellent alternative to fillings whenever there is too much pain or damage. Dental Magic Dentistry offers this service and has dentists who understand the difference between the two services, so call today.